As 2019 is around the corner, helmet manufacturers have come with lots of new products. Helmets get safer with new layers made of cosmic materials, which are better at absorbing shocks. Integrated systems absorb kinetic energy, slowing down the movement of the brain inside the skull in case of a crash. Modern helmets are lighter, more breathable, and many of them can carry front and rear lights, earphones, hands-free sets, navigation systems, brake lights, music players, intercoms, and shock sensors. So why do we keep refusing to wear them? Nowadays the world is divided into countries with mandatory helmet laws, such as Finland, Argentina, New Zealand, the Republic of South Africa, Australia, and a few Canadian provinces, and the rest of the planet where only kids are required to wear helmet, if anyone at all. 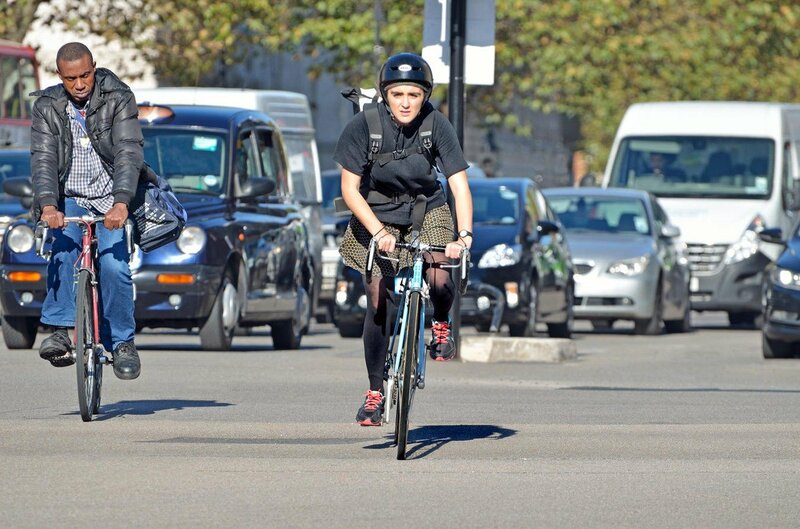 One must ask: Is introducing mandatory helmet laws for all cyclists the right way to go or not? Medical experience clearly speaks in favour of helmets as they can prevent serious head injuries. From the general point of view, however, the answer is a little less straightforward. Does this sound like a blasphemy to you? What could possibly be wrong with introducing mandatory helmet laws for everyone who gets in the saddle? 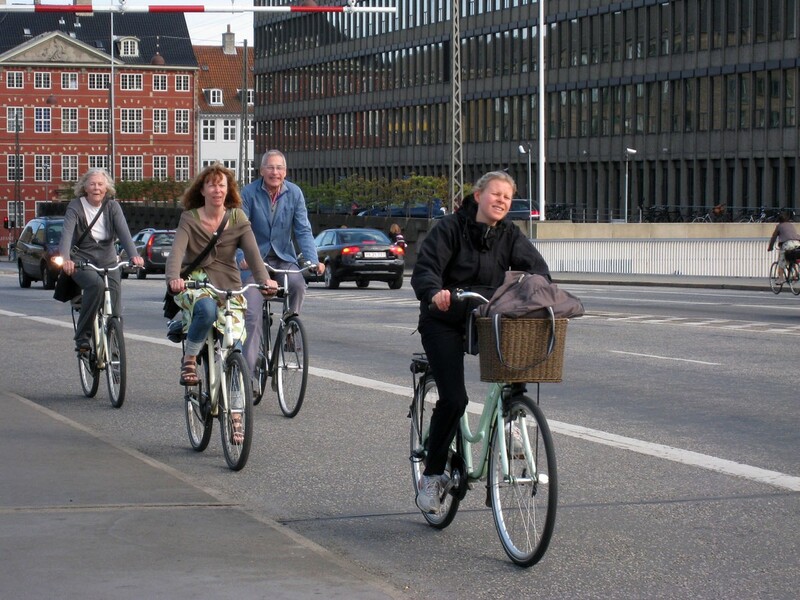 The most cycling-friendly countries in the world, namely Denmark, the Netherlands and Germany, don’t require helmets. And despite the huge numbers of people cycling on roadways every day, these countries register the smallest percentage of injured cyclists. Which is not a coincidence. They invest in modern cycling infrastructure, divide cycle lanes from the rest of the traffic, and have famously considerate drivers. Any time someone raises their voice against mandatory bike helmet laws, it unleashes a torrent of testimonies about traumatic brain injuries of cyclists who crashed without a helmet. It’s like stirring up a hornet’s nest. Both scientific and unscientific research mostly aims to show that biking with a helmet on is much safer. Reality can be much trickier, though. In the ‘80s, it was quite unusual to see a cyclist wearing a helmet. In 1989, Diane C. Thompson and her husband Dr Robert Thompson carried out research in Seattle, proving that cyclists wearing helmets had an 85% lower risk of sustaining head injury in case of a crash. You’d hardly find a more cogent reason for rushing to the nearest bike shop to get your helmet right now. Later, Dorothy Robinson of the Australian University of New England hit the scene, however, claiming that most studies on cycling helmets were faulty because they used information taken out of context. She noticed in her research that people who wear helmets tend to crash much more often, sustaining injuries on other body parts. Australia and New Zealand introduced mandatory helmet law in 1990. At first, it seemed to be a huge success, as the number of serious and fatal cycling injuries decreased significantly. Nevertheless, Dr Robinson took a look at the bigger picture and found out that the monitored period saw the same decrease in the injury and death rates of pedestrians and other victims of car accidents, mainly thanks to improvements in transport infrastructure and campaigns against speeding and drinking and driving. Among other things, Dr Robinson noticed that while the number of cyclists who suffered head injury decreased, the overall cycling accident rate grew, and concluded that wearing a helmet creates a false sense of security and makes some cyclists take more risks. An interesting discovery was made by Dr Kay Teschke from the University of British Colombia, who compared data across Canadian provinces. While in some of them helmets are not mandatory for cyclists, others, such as British Colombia and Nova Scotia, require cyclists to wear helmets. The research suggested that in provinces with mandatory helmet law, 67% of cyclists wear helmets as opposed to 39% in provinces that don’t require it by law. However, chances of a cyclist ending up in hospital are similarly high across various provinces. According to Dr Teschke, wearing a helmet does indeed lower the seriousness of head injuries of cyclists who are treated in hospital after a crash. At the same time, he raises the question as to why wearing a helmet doesn’t reduce the probability of a cyclist crashing and ending up in hospital all the same. Do you use daytime running lights? Rune Elvika, a 2011 Norwegian study, points out that research on the reduction of brain injuries in people wearing helmets conceals cervical spine injuries. That corresponds to figures from a completely different sport: American football. In this case, the first helmets appeared in 1939, and their use became mandatory in the 1960s. While death rate in American football decreased, more and more athletes suffered lesion of the spinal cord. Things evolved similarly in the NHL after 1979 when helmets and hockey pads became mandatory. On the other hand, in case of rugby, where players get along without shell helmets, the number of serious head and spine injuries is lower compared to the NFL players. A commonly cited reason is that rugby players don’t have such speed and force to suffer serious injuries when involved in a collision. 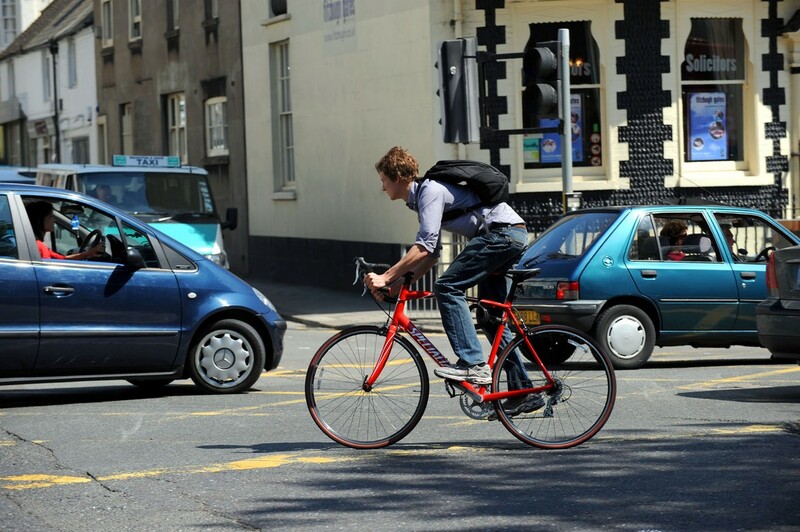 In his study, journalist and traffic expert Shaun Lopez-Murphy describes three theories of universally shared untruths about mandatory helmet use. The first one concerns excessive worry. Of the total number of cycling injuries, head injuries only comprise a small percentage. During a five-year period when Dr Teschke monitored helmet use in Canada, there were 633 cycling injuries per 100 million rides. Exactly one quarter, or 25% of all hospitalisations were due to head or face injury. That provoked arguments that considering biking without helmet as health-threatening is the same thing as thinking flying is dangerous because from time to time a plane crashes. You may think that it’s all just pseudoscientific theories that patch together different things as it suits them. 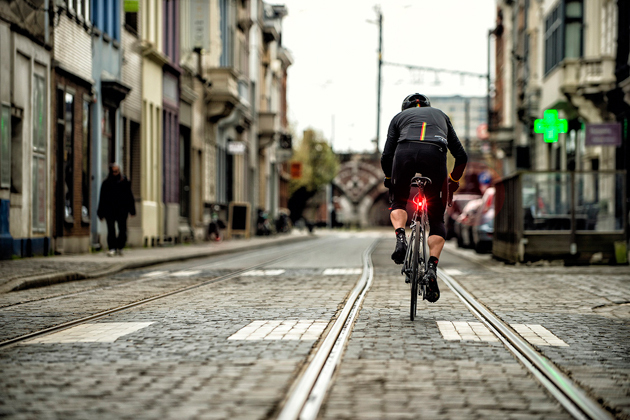 Sporting cyclists who do a hundred kilometres every day are more likely to get involved in accidents than people who cycle to work for ten minutes once a week. Downhill mountain bikers who zoom through the woods across sharp rocks and slippery roots close to the trees at 50 km/h would never get on the bike without a full-face helmet because they know how painful a crash gets even with all the protective gear on. However, it seems legit to critically analyse the blanket introduction of mandatory helmet law. Based on calculations predicting a decrease in the number of cyclists if a mandatory helmet law was introduced, Germany dropped the idea of requiring helmets. It would counteract the federal and state policies and the endeavour across the parties to promote biking as a mode of transport for short distances. It’s hard to tell the truth. Nevertheless, a study published this year in Finland suggested that although the number of cyclists in the country decreased compared to 1990, only a fraction of them mentions the 2003 mandatory helmet law as the reason. A much more convincing argument for wearing a helmet was stated in a last year’s study of several universities from the Czech Republic. A scientific team looked at the circumstances of the deaths of 119 cyclists who died on Czech roads from 1995 to 2013. Pathologists examined every single case in order to determine if a helmet would help the cyclist survive or not. They had detailed police reports at hand. Results showed that helmets would help in cases where there was no other party involved in the accident, such as bike falls or collisions with obstacles. The research concluded that 44 cyclists (37%) out of the 119 could have survived had they worn a helmet. On the other hand, helmets would be of no use in case of high-speed crashes, especially if there were motorised vehicles or trains involved. The study advises cyclists to wear helmets, but at the same time warns them to avoid certain situations and not to rely on some miraculous power of the helmet. Doctors who come into contact with injured cyclists at departments of traumatology often witness the devastating consequences of crashing without protective gear. “I don’t like to see cyclists without helmets,” says Jan Žmolík, Czech doctor who works at the departments of orthopaedics and traumatology in a hospital in Liberec. “We often treat patients who crashed on bike without a helmet. It’s not unusual for them to lie here for many months with various tubes sticking out of their bodies and keeping them alive,” explains the doctor who is an active cross-country biker himself. “Personally, I wouldn’t even fetch my breakfast on bike without a helmet,” he adds, pointing out that in a large percentage of crashes, cyclists fall head-first. Even if they have a helmet on, the fall tends to end with a broken collarbone because that’s where the kinetic energy, lowered after bracing with hands, moves. The head, or skull, is the second point of contact. In case of a crash with a solid obstacle, such as a banister, kerb, tree, bench, or a parked vehicle, the injury can have fatal consequences. Bicycle helmet reduces the risk of head injury by 48% and the risk of serious head injury by a full 60%. Whether the law of your country requires you to wear a helmet or not, it’s always up to you. 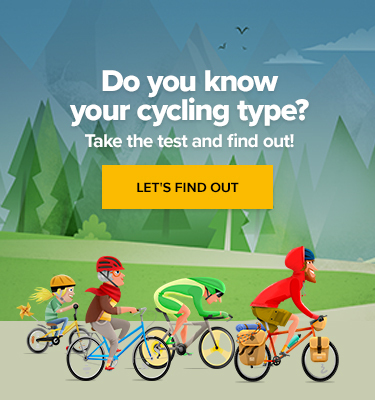 To make your decision easier, we enclose the results of a Norwegian study called Bicycle Helmets – To Wear or Not to Wear, which was published in 2018 by the Institute of Transport Economics in Oslo. – Bicycle helmet reduces the risk of head injury by 48% and the risk of serious head injury by a full 60%. – Bicycle helmet reduces the risk of face injury by 23% without increasing the risk of cervical spine injury. helmet Helmet Laws Safety With or Without a Helmet?